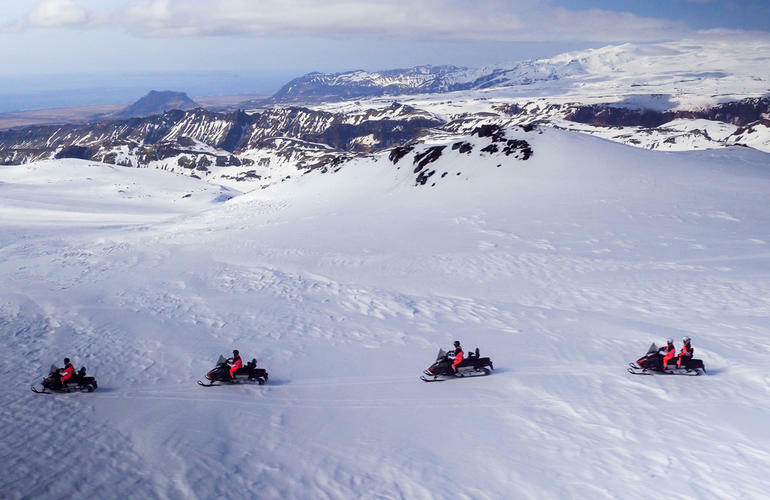 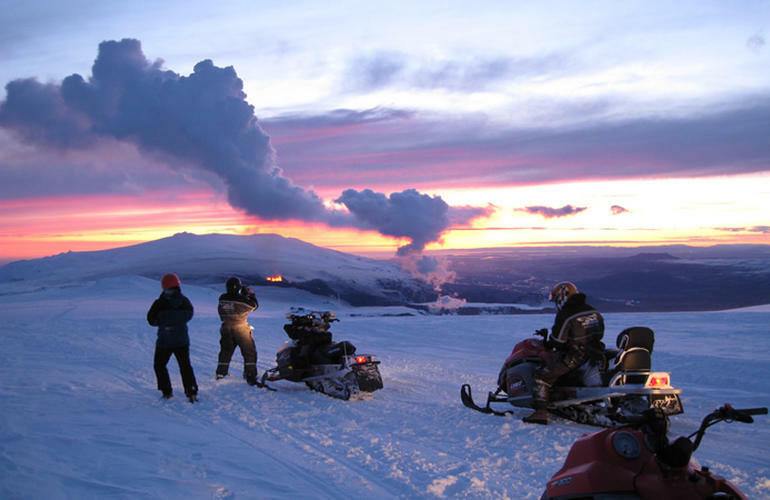 Throttle up the Mýrdalsjökull glacier in this exciting snowmobile ride with scenic views of the southern Iceland landscape. 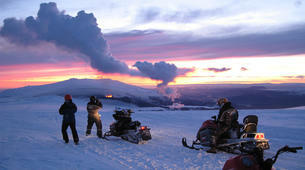 Want a fun snowmobile ride with breathtaking views? 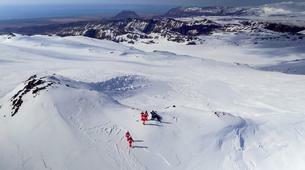 The Mýrdalsjökull glacier is an icecap covering one of Iceland’s largest volcanoes, the Katla. 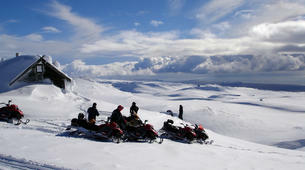 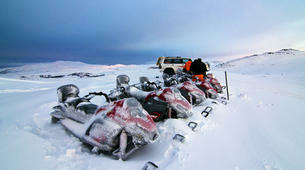 In this activity you have a unique chance to tour this wildly scenic place while having a blast on your snowmobile. 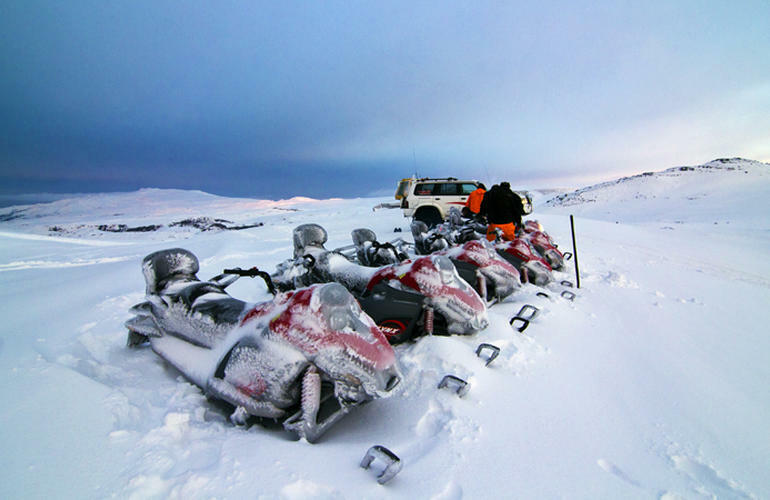 The day starts off at base, perfectly located at the foothill of the glacier. 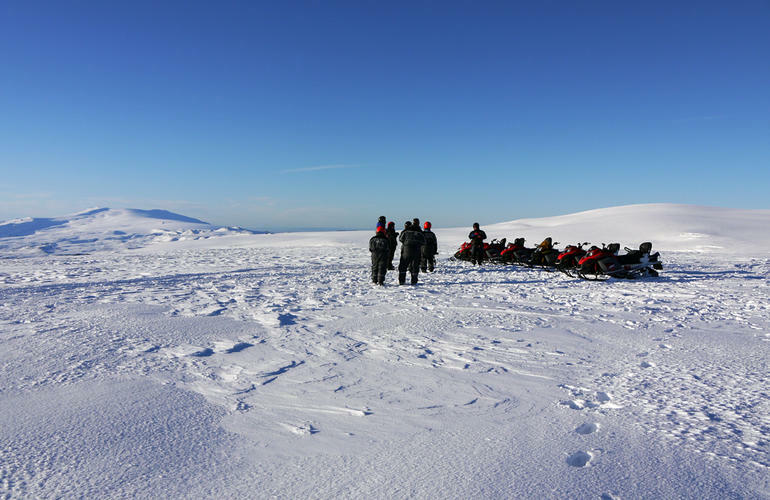 Your expert local guide will give a safety briefing and provide you with a snowsuit and helmet for warmth, safety, and comfort. 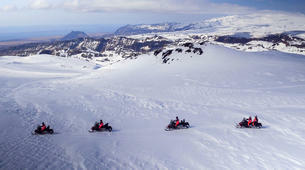 Next, you will step into the super-jeep and head up towards the glacier to the snowmobile location. Driving these snowmobiles is easy! 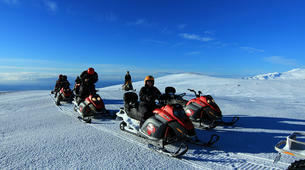 Just step on the accelerator or the brakes. 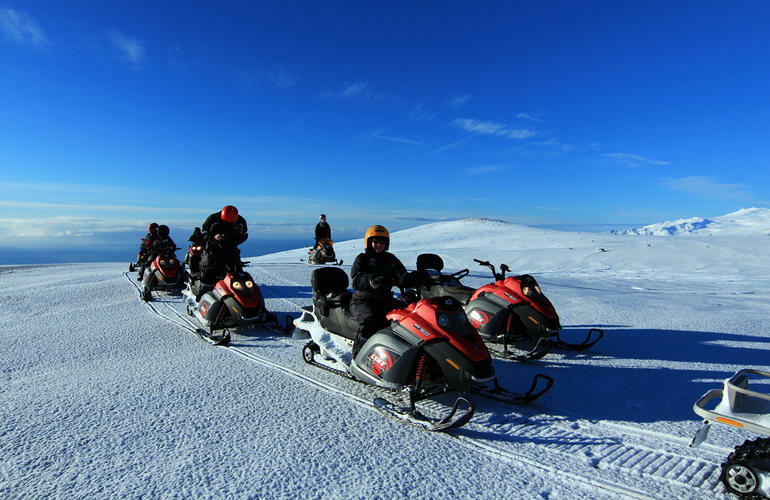 From here your guide will take you on a ride through the magical landscape with plenty of stops for photo and video opportunities. 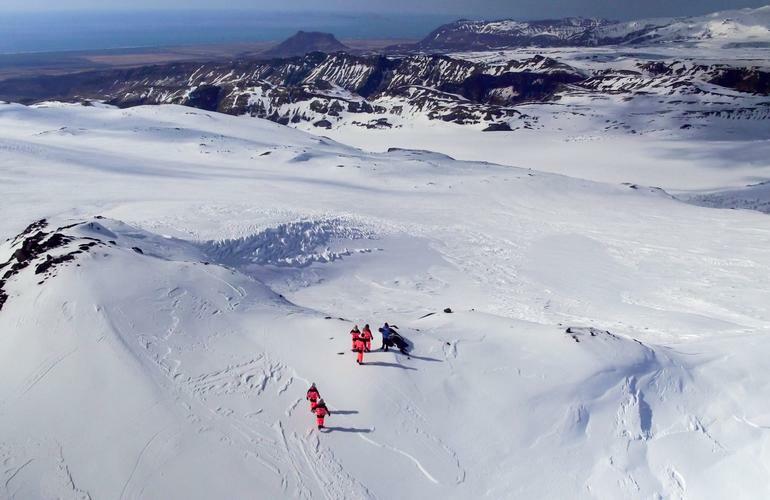 This incredible white glacier contrasting with the black sands that hug the coastline is a sight you do not want to miss! 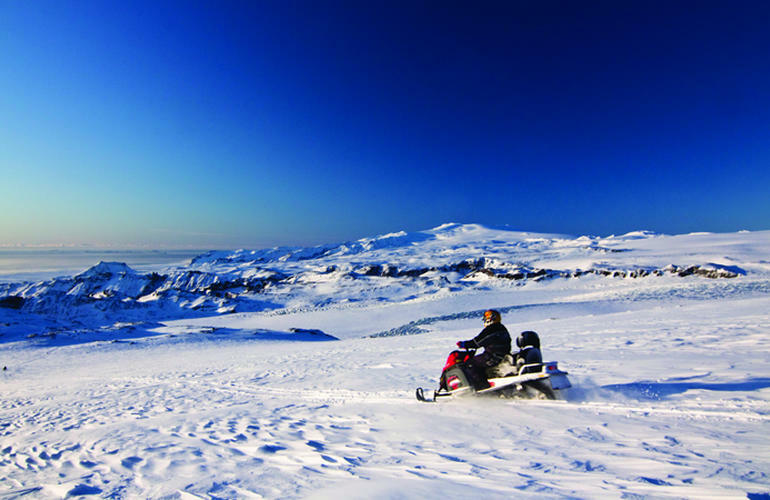 You will get close to the Katla caldera and catch views of the Eyjafjallajökull glacier standing over in the west. 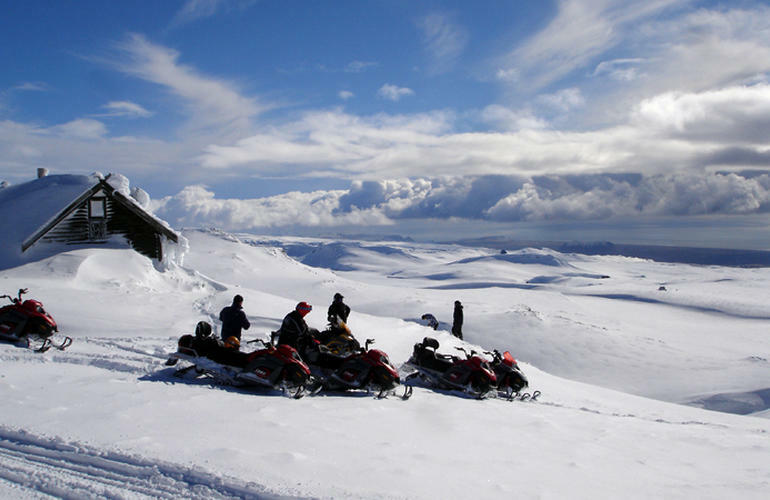 Once the tour has come to an end you will be transported back to the base in Ytri-Sólheimar. 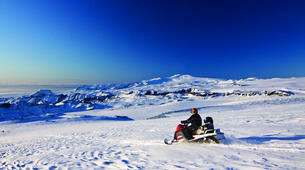 Driver of snowmobile needs to hold a valid driver’s license.